What is Blues in the Schools? Blues in the Schools offers the opportunity for students of all ages to engage in multidisciplinary, whole-language learning using the study of music, math, language arts, history, anthropology, and sociology in a hands-on approach celebrating creative self-expression. 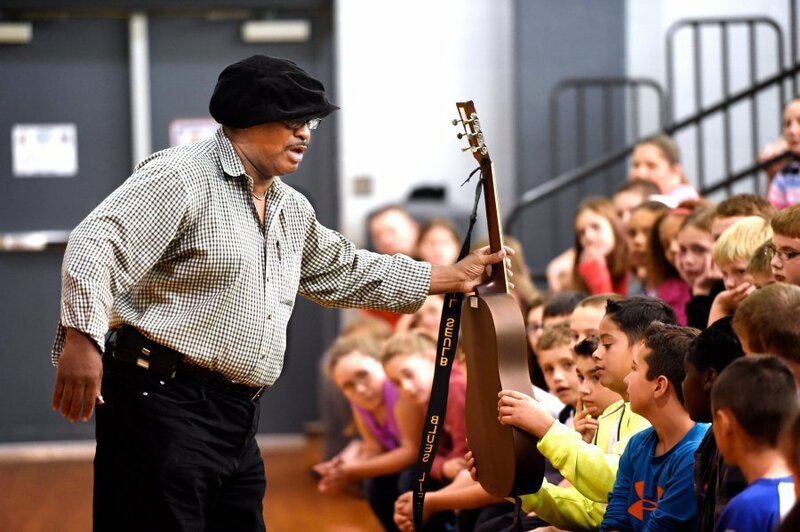 By bringing the blues genre into the classroom, students are exposed to these traditional subjects, while breaking down racial barriers and opening dialogue about cultural diversity. Why Blues in the Schools? Through the study of Blues traditions, educators can address the important issues of the color line, diversity, and multi-culturalism, using interdisciplinary studies in a way that engages students of all ages. The study of the Blues is the study of the African-American culture that produced this music and an investment in the human spirit. Just as important as understanding the evolution of the musical structure of the blues is understanding the ways blues music expressed individual emotions and the feelings of the times. Through the blues, student listeners begin to empathize with what happened in those times and to develop understanding of how to apply that awareness to their present lives. Research continues to provide solid evidence that the study of music promotes intellectual development. Science has shown that studying music assists children in developing neurophysiological distinctions that aid in literacy and can translate into improved academic performance. 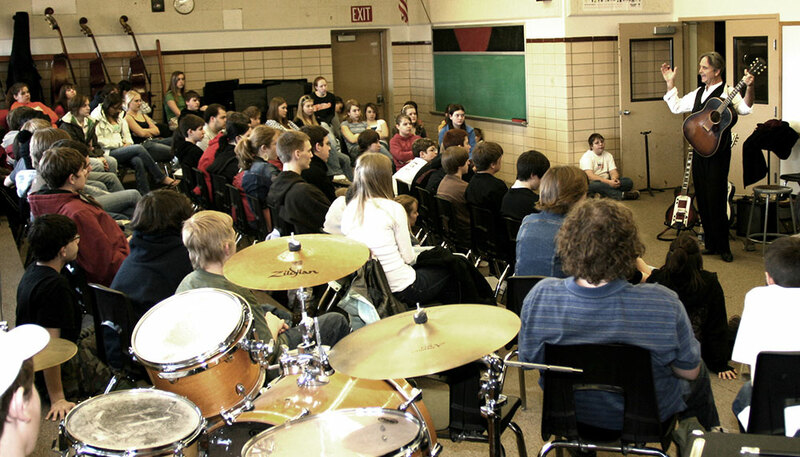 Most important to this development is active engagement in the music and class participation, each of which are central to Blues in the Schools programs. While participating in music activities, children enhance physical, language, social-emotional, and cognitive development. 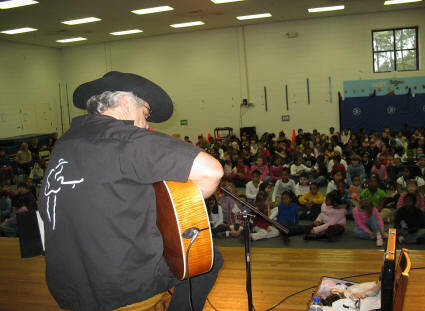 And Blues in the Schools program are much larger than simple music classes. They provide opportunities for children who might otherwise not have access to engage directly with a music that is historically significant and emotionally healing. 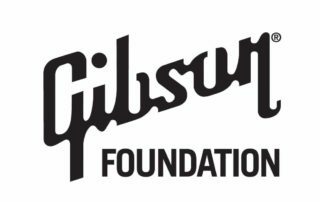 The Blues Foundation is committed to preserving blues heritage, the biographies of the people who formed this music, and the cultural history behind their personal stories. We are mission driven to also ensure the future of this uniquely American art form by expanding awareness of the music across all lines. 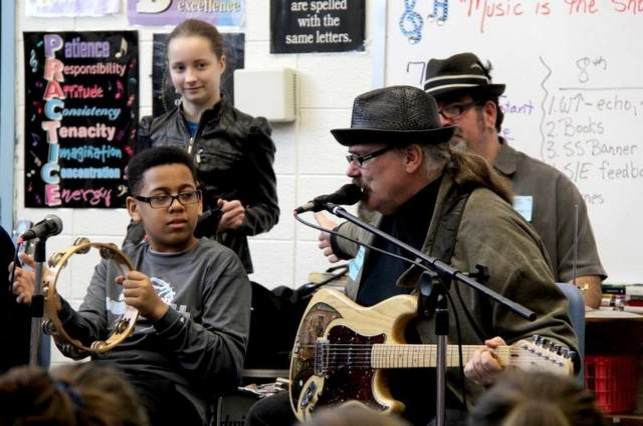 Taking Blues music into schools systems, via Blues in the Schools, provides a direct line to keep this great American genre both relevant and thriving. 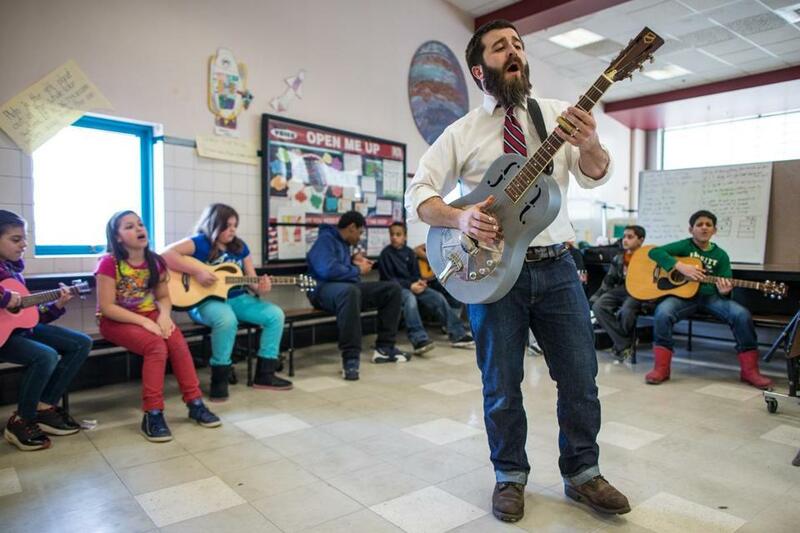 Blues in the Schools can be appropriately tailored to the age of the students with creative cross-discipline curriculum. Subjects like music, art, English, and social studies are natural fits, while creative teachers can individually figure ways to tie Math, Science and Tech Ed to a BITS unit. For instance, a simple activity like designing a CD package enlists art, English, and music disciplines. Should students be challenged to plan out the touring itinerary for a band, they will utilize math, geography, and language arts skills in their assignments. At the high school level, the in-depth study of the sharecropping system in the Mississippi Delta combines English, social studies, and music to deliver a very crucial understanding of the relationship between these social and cultural factors in the birth of the blues. The combinations of programs is unlimited and each educator has the freedom to construct a relevant lesson plan using blues as the framework. Because each community’s curriculum is individualized to the goals of that school district, there is no nationally directed BITS initiative for grades K-12. The Blues Foundation can help you find someone to help you get started with what is right for your local school district, your educational discipline, and your intended age group. The Blues Foundation’s Affiliated Blues societies are often at the forefront of developing and/or funding local BITS programs and many have designed curriculum units and lesson plans that are ready to be plugged into any grade or discipline. There are also educators nationwide who are committed to developing high quality BITS programs using the most current educational techniques and who have had great success with their curricula. An all day workshop that either moves from class to class or remains in the same classroom all day. Artist in Residency programs that last from a week to a full month. These usually culminate in an evening performance or performance at a funding festival. Where do I find the funding for these programs? Funding any sort of arts program outside of the standard school curriculum requires the creative search for sources. 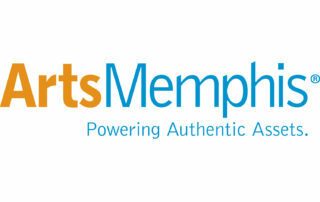 We encourage teachers and school administrators to apply for local Arts Council grants. Depending upon your school, there might be PTA money available for BITs programs. School Improvement Councils often put money aside for assembly programs and might be a viable source of funds for a school-wide program, especially during Black History month. 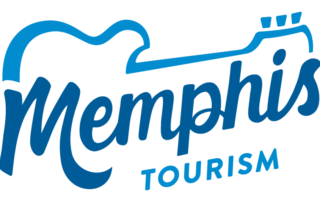 A local blues society or blues festival could help underwrite the cost. 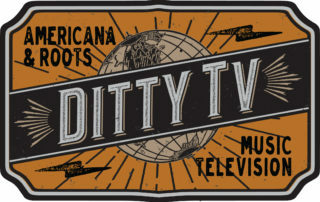 Check our affiliates map for Blues Societies in your area and reach out to develop relationships with their leadership. More costly Artist-in-Residency programs might require the corporate sponsorship of a local business. You might consider an evening concert in the community by your artist-in residence as a fundraiser to as part of a more appealing grant request. There is no limitation to your own research and creativity in seeking funds. Below is an extensive list of Blues educators who might be available to assist you in developing a Blues education program. BEYOND THE MUSIC: YOU’RE THE CEO Making your music a business. BLUES INSTRUMENT WORKSHOP AND PERFORMANCE: Harmonica Workshop (kids receive Hohner harmonicas and learn to accurately play 4 Blues songs). Performance included.